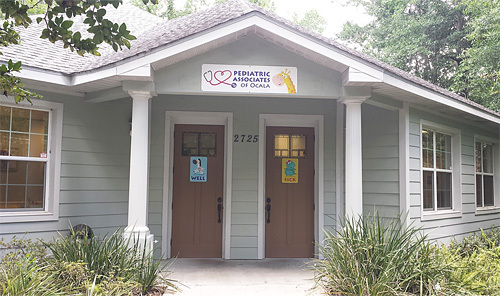 Pediatric Associates of Ocala is located at 2725 S.E. Maricamp Road Ocala, FL 34471 in Woodpoint Medical Center. Our office is centrally located in the Southeast area of Ocala off of 17th Street/Maricamp Road near S.E. 25th Avenue. Woodpoint Medical Center is located directly beside Robert’s Funeral Home near First Baptist Church and Publix (Parkview Commons).